You've finished the first chapter! Of course, that was just a warm-up! You've finished the second chapter. 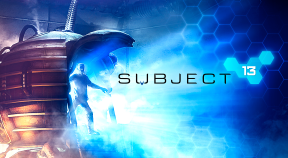 Did you need some fresh air, Subject 13? Better than the company of a ball, you've beaten the jungle with your mind! You've found the first testimony in a long series. You've found half of the testimonies. You still have work to do, Subject 13! You know everything... Terrifying isn't it? It's been a long time since a Subject tried to cheat. You're the best. You chose to lie. It isn't good to lie, you know. You chose to talk to the entity and tell it everything. What a gossip! You chose difficulty and grey matter. You are now rewarded! You managed to master your mind and beauty. It's wonderful. Did you say monkey business? You solved the 3 monkeys' enigma. You're a genius!